Like thousands of people, I was captivated a couple of years ago by YouTube videos of a Thai marching band that features an incredible electric phin (3-stringed lute) player. Their music is throbbing, visceral, hallucinogenic -- it really has to be heard to be believed. 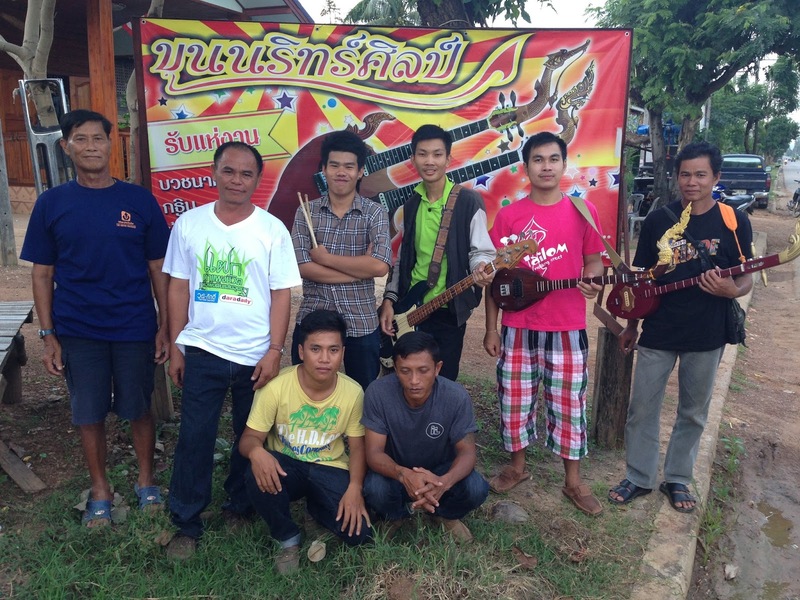 Josh Marcy saw the same videos, went to Thailand, recorded the band, and now we have the first Western (or perhaps anywhere) release from Khun Narin's Electric Phin Band (pictured above). You'll hear a nice, long selection from them this week on Global A Go-Go. And check below the fold for of one those videos. Also this week: new Indian-inspired music by Arun Ramamurthy and Kiran Ahluwalia, chicha and salsa, and more Balkan brass and beats in preparation for Boban & Marko Markovic's appearance at the Richmond Folk Festival.